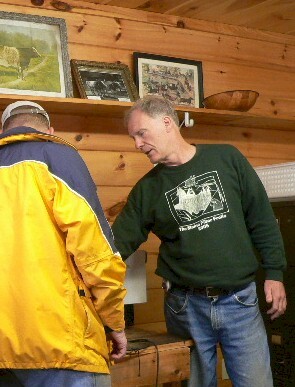 Behind the scenes, volunteers, exhibitors, vendors, and others work during the winter, during the fair, and during set-up and break-down to make the fair a success. The steering committee volunteers (fiber people, llama people, alpaca people, sheep people, goat people, bunny people, and more) meet during the winter to plan, think up ways to improve the fair, and keep the excitement going. The day before the fair, a gentle chaos takes hold, sometimes in the rain, as trucks and campers arrive, tents and pens go up, boxes are unloaded, friends get reacquainted, animals are made comfortable, and everyone works to get things set up and ready for the fairgoers. The Maine Fiber Frolic is produced by a committee of members from the Maine Llama Association, Maine Sheep Breeds Association, Maine Alpaca Association, Maine Angora Producers, Maine Spinners' Registry, Cashmere Goat Club and other fiber enthusiasts to promotes education, understanding and appreciation of fiber farms, fiber artists and other small farming ventures. Maine Fiber Frolic encourages interaction within communities to foster a relationship between community and small family farms. 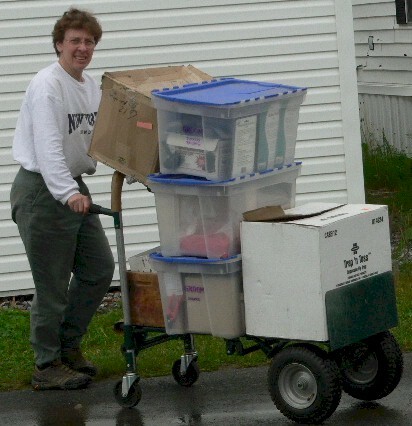 Photo: Terry Beal (Maine Llama Association), Fearless Fiber Frolic Leader from the beginnings of the fair through the 2006 fair. 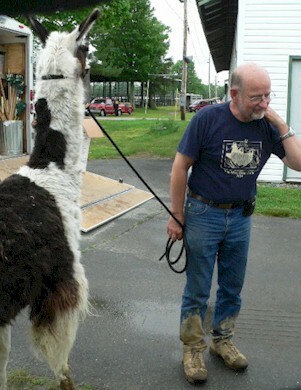 In 2007, the Maine Alpaca Association with Al Maloney stepped in to become the primary fair sponsor and keep the fair going.